game review and giveaway is a sponsored post. As always all opinions and experiences are my own. Since moving to Texas seven years ago, my husband and I have taken on the role as urban homesteaders. Moving from Colorado Springs to Austin, people never would have expected us to make this shift but it happened gradually and organically. It started off with my husband making raised garden beds for us to create our own square foot garden in the space we had available. Then it moved on to making our own composting bins to enrich the soil in our garden. Most recently we’ve added chickens to the mix. It’s been so much fun to raise up five chicks into the egg-laying hens we have today. Our free range ladies are super social and the our girls treat them like pets and help get eggs and feed them so they do get a farm-like experience. While we’d love to add more to our little urban farm that isn’t possible in our current house. We’ve done what we can with the space we have and have to live out our farming fantasies in other ways. Like with the new Farming Simulator 17 game. With Farming Simulator 17, I get to act out my fantasy to be a real life farmer with crops and livestock. I love that this game has the ability to customize your avatar so you can have their own character that looks like just like you as well as choose your tractor. My lady farmer and I got to work growing, harvesting, and selling my crops to advance in the game. This is definitely a step above the free Facebook games you find in terms of graphics, difficulty, and authenticity. I thought going into the game that it may be too advanced for my almost 8 year old daughter, but instead was pleasantly surprised at how she was able to play the game right away. While there is still some complexity for her age, she was excited to take on the role of farmer and is navigating her way through. She loves seeing the animals and going through the motions of life on the farm. I like that she’s able to work on her problem solving skills while playing a game free of violence or other negative aspects you often find in other games. 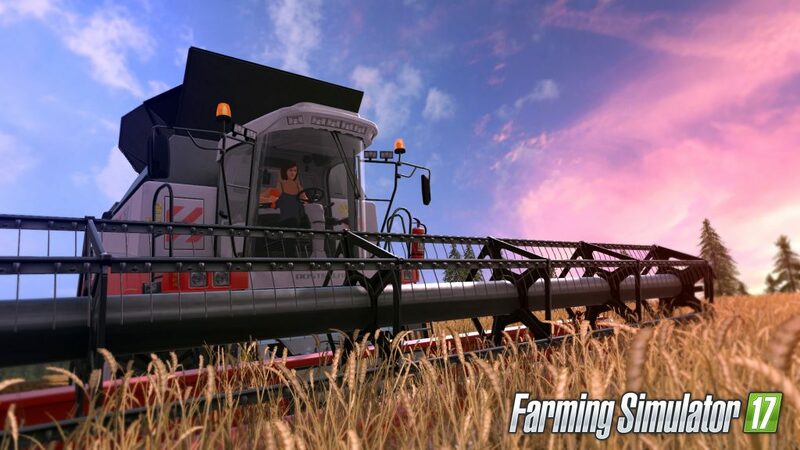 There’s an endless supply of opportunities awaiting us as we escape city life with Farming Simulator 17! This would be a great Christmas gift for the gamer or wannabe farmer in your life! 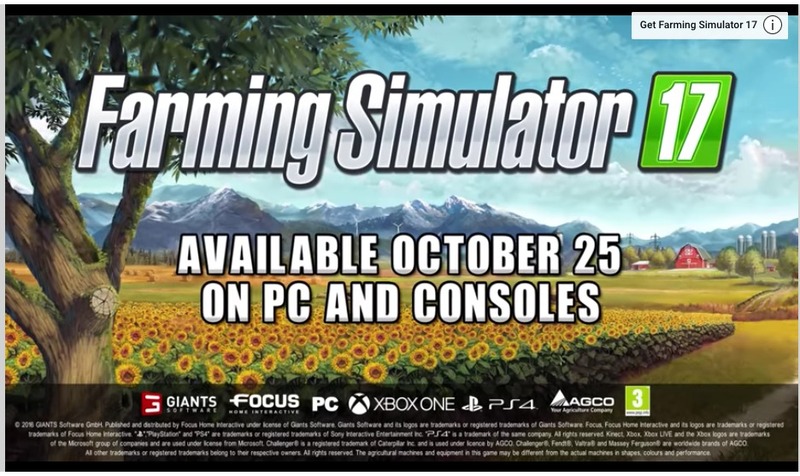 Platforms: You can play Farming Simulator 17 on PC, Xbox One, PS4, and on mobile devices. 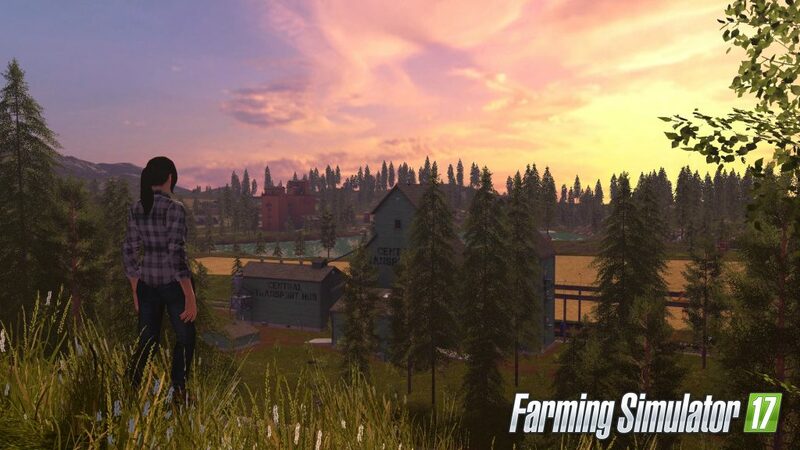 Stay connected on all of the latest updates to Farming Simulator 17 by following their official Facebook, Twitter, and YouTube channels.